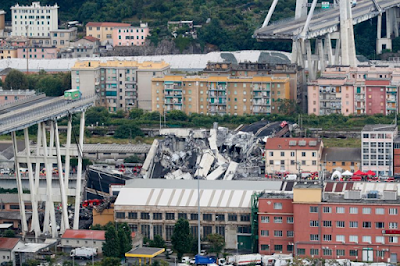 Lord, today we pray for those affected by Tuesday’s bridge collapse in Genoa, Italy. We are saddened about the 35 people who lost their lives. Be with the victims’ families and bring healing to those who survived yet sustained injury. We are grateful for the over 200 firefighters who continue in their rescue efforts. We pray that more survivors are located. Father, we ask that you work through the Italian government to make infrastructure improvements a priority. Give them the wisdom and resources to make upgrades that will ensure everyone’s safety. With the destruction of this major thoroughfare, there is potential for great economic hardship for this region. We ask that you help those whose homes and businesses were destroyed to rebuild quickly. Father, we do not know when or how our lives will end, but we know that it could happen just as unexpectedly as it was with this tragic accident. Help us to make the most of every opportunity that you give us, that we would choose to live a life that brings you honor and glory. We pray in Jesus’ name, amen.